Steph loves anthologies; Liz is more ambivalent, being less of a fan of short stories. 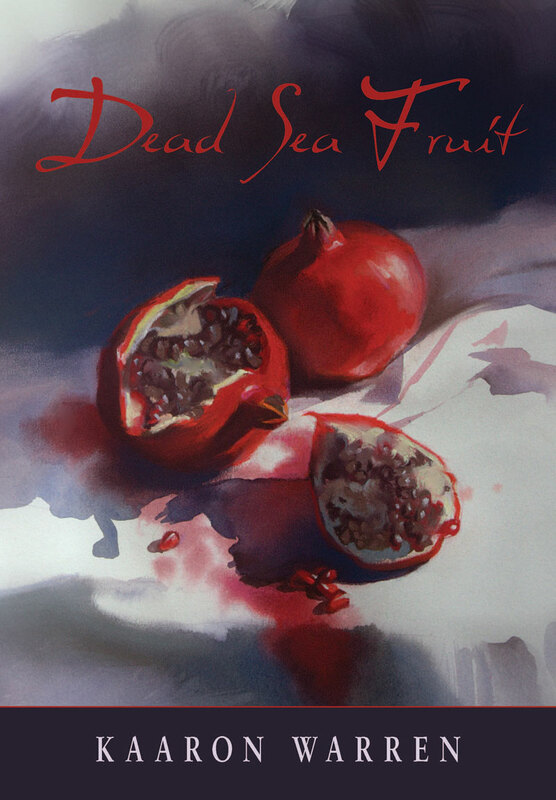 Steph picked up Dead Sea Fruit by Kaaron Warren after spending the weekend with Kaaron in a murder house in Sydney. Just read the title story in @KaaronWarren's Dead Sea Fruit. Misandrist fairy tale. So into it. Great start to a week of leave. So Steph read the title story, Dead Sea Fruit, as she was getting on a plane. This was probably the glorious high point of the anthology. Which is not to say it was lows from here on out! Just that this was glorious and I loved it and its terrible misandry. Dead Sea Fruit is a horror anthology full of creeping and creepy moments. The horror takes on different forms, as the best horror does: the mundane; the fantastical; the minutia. Not everything in this anthology felt like horror to me: some of it felt like discomfort, and some of it felt like misfortune, but all of it felt like a delight in and exploration of fear and monstrosity and dread and antipathy, and those are the key elements of horror, so maybe I’ve just talked myself around in a circle and it did all feel like horror. Dead Sea Fruit: GLORIOUS MISANDRY after half a dozen pages of worry. Woman Train; Where the women go during and after war. It sort of made me think of Mad Max: Fury Road. Who killed the world? Fresh Young Widow; Because sometimes you make sacrifices and sometimes you don’t. Sins of the Ancestors; It’s not a new concept that women pay for the sins of those who have come before them, but I loved this little exploration of class. It did make me wonder, towards the end, if the underlying message was that one cannot rise above one’s station, but it was fun even for that. Tontine Mary; I learnt about Tontines! TONTINES ARE TERRIFYING. White people, why. The story that creeped me out the most, that made me think about how true horror is in the heart of humanity, was A Positive. There was nothing supernatural about it, not really. It was more about the things that make us terrible, that make us as humans horrifying. I really enjoyed the Islanderness of some of the tales. Kaaron spent some years living in Fiji and that’s really reflected in some parts of the anthology, and that delighted me, though those stories were definitely more supernatural than humanity (though they were all about the greed of humanity). I’ve always had a vague interest in horror, but never explored it very much because I’m not so into traditional horror with actual monsters and gaping teeth and dripping blood. But this horror – the horror of humans – this I can get behind. I want more of it. Eat the Sky Drink the Ocean is so beautiful. Look at that cover! A collaborative anthology between Indian and Australian writers and artists (including hyphenates, so don’t be put off by the description my cross-narrative Azn friends), Steph picked this up at the NSWWC Speculative Fiction Festival. It was the only book she paid for (hahaha). The short review: Some of the pieces are amazing, and some are merely good, but it is a great book and a fun read. The long review: These pieces are stories about what it means to be a girl, or what it means to be young, or what it means to transcend boundaries or hit boundaries or to not know where you’re going or to know exactly where you’re going. Some are speculative fiction, and some could be but aren’t quite. I loved Arctic Light by Vandana Singh, about a young Indian activist protesting against climate change; idealistic but also realistic and everything Steph loves. I also really loved Little Red Suit by Justine Larbalestier (CLIMATE SUITS) and Cooking Time by Anita Roy (reality tv, colonialism, and actually time travel, WHO AM I). Phantazein blurs a little in my brain because I was mostly on a plane, so please forgive me. This is an anthology of retold fairy tales, some obvious and some subtle, some new and some old. It’s mostly Genevieve’s fault that I adore the 12 Dancing Princesses in a way I never did as a child (I never encountered the tale until I met her), and it was a delight that the anthology opens with Twelve, by Faith Mudge, which looks at it in a way that’s new for me. After you’ve read them, it won’t surprise you to learn that my favourites were The nameless seamstress by Gitte Christensen and The village of no women by Rabia Gale. 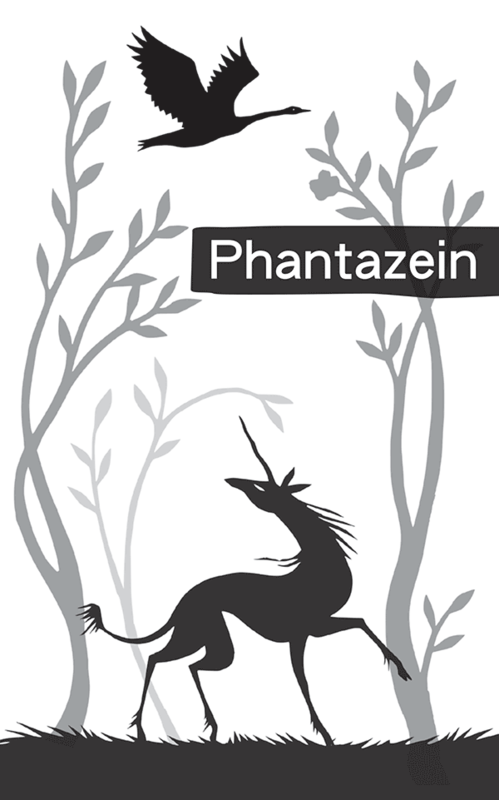 Phantazein expands beyond Western fairytales, because of course it does (I could never recommend a collection of retold fairytales that didn’t), and is an unchallenging and fun read. I wish it told us what fairy tales each story was referencing, for the ones I found unfamiliar. Steph stole a copy of Dead Sea Fruit from Kaaron Warren after the NSW Writer’s Centre Spec Fic Festival. Liz from Ticonderoga totally knows. 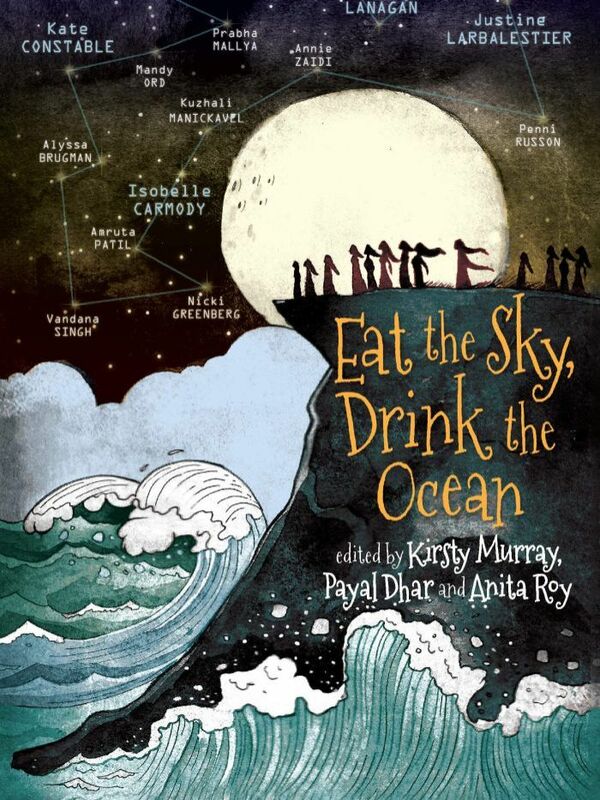 Steph purchased a copy of Eat the Sky, Drink the Ocean whilst she was at the NSW Writer’s Centre Spec Fic Festival. Tehani from Fablecroft pushed Phantazein across the breakfast table at the Murder House where they stayed together in Sydney. Oh yes, Tontines are frightening. Basically an incitement to murder (I first learned of them through Agatha Christie murder mysteries – “4.50 From Paddington” is the one which sticks with me) if you have a rich enough prize at the end.